TomTom Celebrity Voice Directions | OhGizmo! ?Pay attention to what I?m saying,? or ?Mr. T gonna get you there in one piece ? you gonna be there safely, or else!? The plan is looking at charging $5 for generic theme voices, such as a cowboy or valleygirl, and $10 for celebrity voices, such as Mr. T, Burt Reynolds and Dennis Hopper. This means cheap so quit your jibber-jabber. I personally would love the Agent Smith voice pack. “A left at the light… Mr. Anderson”. I know how my comment will apply to just about anything anyone does on the internet after 17 seasons, but… Simspons did it. 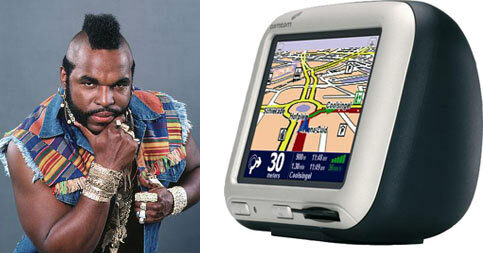 You can download tomtom voices, splash screens for free at http://www.gpsice.co.uk, why would anyone pay for voices?